Prime Minister Narendra Modi on Saturday launched the “Start-Up India Action Plan” that aims to enable an eco-system to promote and nurse entrepreneurship across the country. What exactly is the plan and the details of the scheme? So what exactly is Startup India? Startup India in an action plan to develop an ecosystem to promote and nurture entrepreneurship across the country. This is based on an action plan aimed at promoting bank financing for start-up ventures to boost entrepreneurship and encourage startups with jobs creation. The campaign was first announced by Prime Minister Modi in his 15 August 2015 address from the Red Fort. A startup is an entity, private, partnership or limited liability partnership (LLP) firm that is headquartered in India, which was opened less than five years ago and have an annual turnover less than Rs25 crore. To be eligible for considering as startup, the entity should not be formed by splitting up or reconstruction and its turnover should not have crossed Rs25 crore during its existence. Under the Scheme, no inspection would be carried out on start-ups for three years regarding labour laws. In addition, environment law compliance is required only post-self certification. In patent costs, the startups can claim an 80% rebate. That means, if a startup applies for a patent, the government will fund the defence of the patent, and give rebate of 80% in the fees. The government will also pay fees of the facilitator for helping the startup obtain the patent. Faster patent registration and protection for Intellectual Property Rights (IPRs) is provided under the Scheme. Patent filing procedures to be simplified. Significant reduction in fees for filing Patents. What are the advantages for startups regarding registration? The government is launching a mobile app on 1 April 2016 and a portal that will allow companies to register in a day. In addition, there would be a single point of contact for Start-up India hub. In addition, there will be single window clearance for clearances, approvals, and registrations. 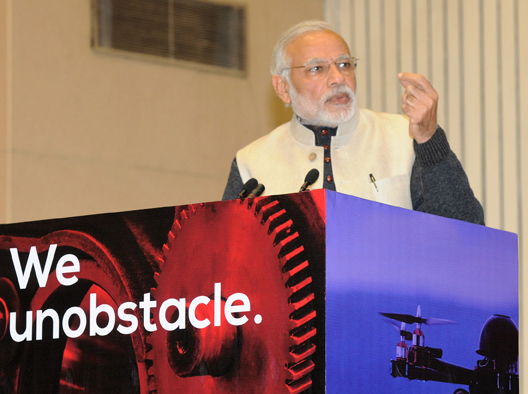 What is the government’s role in boosting start ups? The Ministry of Human Resource Development (HRD) and the Department of Science and Technology have agreed to partner in an initiative to set up over 75 startup support hubs in the National Institutes of Technology (NITs), the Indian Institutes of Information Technology (IIITs), the Indian Institutes of Science Education and Research (IISERs) and National Institutes of Pharmaceutical Education and Research (NIPERs). What are the special benefits for startups in public procurement? Startups in the manufacturing sector are exempted from the criteria of prior ‘experience/ turnover’ without any relaxation in quality standards or technical parameters in public procurement (by government). How much funding is available for this scheme? Rs10,000-crore fund for new enterprises, equal opportunity in government procurement, a Rs500-crore credit guarantee scheme and easier exit norms. Japanese Softbank, which had already invested $2 billion in Indian startups, has pledged total investments of $10 billion. What are benefits under the provision on Income Tax? Under the Scheme, Income Tax exemption is available for first three years. However, the startup will be eligible for tax benefits only after obtaining certificate from the Inter-Ministerial Board, setup for this purpose. Is there any exemption in capital gains tax? Yes. If the money is invested in fund of funds recognised by the government, the investor can claim capital gains tax exemptions. In addition, existing capital gain tax exemption for investment in newly formed MSMEs by individuals shall be extended to all startups. What is the eligibility for startups? a recommendation (with regard to innovative nature of business), in a format specified by DIPP, from an Incubator established in a post-graduate college in India an incubator, which is funded (in relation to the project) from GoI as part of any specified scheme to promote innovation a recommendation (with regard to innovative nature of business), in a format specified by DIPP, from an Incubator recognized by GoI or be funded by an Incubation Fund/ Angel Fund/ Private Equity Fund/ Accelerator/Angel Network duly registered with SEBI that endorses innovative nature of the business or be funded by GoI as part of any specified scheme to promote innovation or have a patent granted by the Indian Patent and Trademark Office in areas affiliated with the nature of business being promoted. i am a graduate unemployed I want to start business but I have no capital can I apply for startup scheme. I have a unique,amazing, superb & 100% new idea for start a buisness of motor driving school. * but i have not a capital & resource to start it , can i get a help from startup Scheme. Do restaurants, IIBNB HOMESTAYS come under start ups ? Does one have to register a start up somewhere? If so where?